Wine assemblage: From noble grapes, the body of Pinot Gris. The finesse and elegance of Riesling. The grapiness and floral notes of Muscat ottonel. Dry, bright, lively, and youthful, yet still elegant. 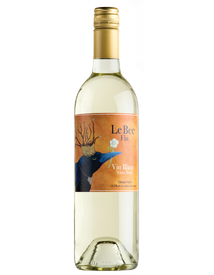 Attractive, flattering bouquet - quite aromatic, floral scented and fruit-driven. Harmonious and well-rounded with a nicely ripe grape character. One the palate the wine is generous, soft, and supple - almost juicy - with good structure but also a fruity and aromatic finish. Drink it now or anytime within three years. Enjoy it as an aperitif or pair it with halibut, salmon with a dill lemon sauce, lobster, crab cake, multiple cheeses (comte, reblochon, fourme d'Ambert), assorted poultry dishes, or meals seasoned with Indian or Asian spices. Wine assemblage: The flavors of the Syrah. The fruit of the Viognier. 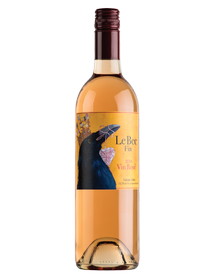 Pale orange, mineral tinged aromas of raspberry and tangerine are complemented by a subtle floral top note. 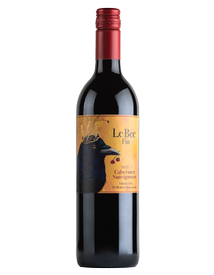 Shows good intensity and cut on the palate, offering tangy red berry and bitter cherry flavors, with a touch of zesty orange pith. Finishes on a nervy note, delivering solid punch, good tenacity and a lingering citrus note. Enjoy this delicious summer wine anytime as an aperitif with Asian food, or assorted types of salads. Wine assemblage: The finesse, elegance and power from Cabernet Sauvignon. The soft and velvety touch of Merlot. A powerful and tannic wine with a varietal expression of black fruit aromas (cassis, blackberry) in its youth. The wine opens with tobacco, cedar, minerality, earth, fennel, and spice. Full-bodied, this wine awards you with a juicy, rich mouthful of fresh, ripe Cabernet Sauvignon. The long finish ends with a blast of fruit and spice, complexity with opulent layers of diversity. Fine and elegant in texture and taste. Enjoy by itself or as an excellent pair to countless dishes. A perfect companion to salmon with red wine sauce, gourmet burgers, filet mignon, black truffles, various cheeses (camembert, brie, St Nectaire), chocolate, chocolate truffles, and crème brûlée. I was born at harvest in the Alsace region of France, the son of a winemaker who was also born the son of a winemaker.